Skills for toddlers and children for the Sims 3 / the Sims 3 Generations. Teddy Bears – Placing a teddy bear in the crib or in the inventory of a child gives them the cuddle time moodlet when they sleep and wake up. Teens and older with the childish trait also gain this. Ambrosia – Feeding a toddler ambrosia (using the feeding chair) is a great way to get some early lifetime happiness points. Toddlers and children can gain up to 3 points in a skill, which will remain hidden until they use a skill object as a child/teen or older. All toddler books but the Jimmy Sprocket books give skill points. Toddler skill books can be read to the toddler by an adult or left on the floor for the toddler to read on her own. Normal skill books can be read to a toddler/child by an adult, raising the skill of both sims. The “Offer to Read Bedtime Story” interaction comes up for the adult once the toddler/child has the “Sleepy” moodlet. Alternatively, an adult can “Read to Sleep” a toddler/child who is relaxing on a bed. Skill requirements are not checked, so you can teach a child Charisma, but it will take a lot of sessions. ♥ Xylophone – Guitar – With Late Night, all instrument skills are raised (Bass, Piano and Drum, along with Guitar). Logic – Completing only the books or peg box will give 3 points when the toddler ages up to a child. Completing both gives 4 points (instead of 6). 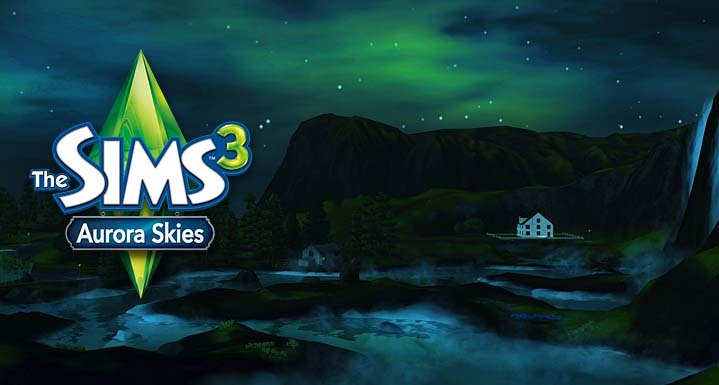 The Tiny Prodigies Early Learning Center is a Sims 3 Store venue that comes with the Gold Edition of Aurora Skies. The objects allow toddlers to teach themselves two of the three basic toddler skills. Adults can still help, and are required to move the toddler in/out of the objects. Unlike skill objects, these are not continuous actions, so you’ll have to queue multiple actions to learn the skill. Both objects raise all motives but social. This raises bladder as well, so you might want to potty train your toddler first. ♥ Head Start Playpen – Talking, Logic, Charisma (after Talking; interaction changes from “Learn to Talk” to “Play with Mirror”) – Having an adult play with the toddler in the playpen raises talking. A sim who uses the Head Start Playpen as a toddler will start to advance in Charisma as a child (even though the skill remains hidden). This is the easiest way for a child to gain Charisma. Completing all three logic items will only give four points. The only normal skills children can learn are Fishing, Logic, Painting and Writing. Ambitions – Children cannot read Inventing skill books but can advance the skill through the workbench. Like toddler skills, secret skills for children only go up to 3. ♥ Building Blocks – Handiness – Toddlers can play with the blocks, but only children will gain hidden skill points. ♥ Athletic – While children can work out, Athletic will be a hidden skill until they age up to teen. ♥ Gardening – As with Athletic. ♥ Guitar – Guitar may be acquired randomly if the child is sent to LeFromage Art boarding school. This stacks with the Xylophone for a maximum total of 6 skill points. ♥ Bass, Drum, Piano (Late Night) – As with Guitar. Teens cannot drive a car unless an older Sim has taught them how. This skill goes up to level 3, and teens who complete the skill will be sent a framed reward certificate. Sign up for Nocturne Premium!